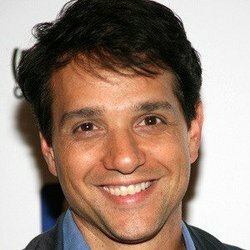 Ralph Macchio is an American actor, best known for his roles as Daniel LaRusso in the Karate Kid series, Eugene Martone in Crossroads, Bill Gambini in My Cousin Vinny, and Johnny Cade in The Outsiders. He is also known to American television audiences for his recurring role as Jeremy Andretti in the fifth season of the television comedy-drama Eight Is Enough. He also appeared on the television comedy Ugly Betty in the recurring role of Archie, a local Queens politician. He competed on the twelfth season of Dancing with the Stars. Ralph also appeared twice on the show Psych.